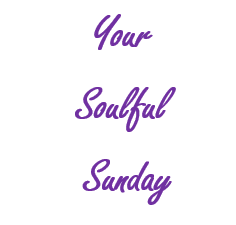 As our weekly series, Your Soulful Sunday, continues, enjoy this article by Nadene van der Linden. When a major life event occurs, we can feel as if we are in an unending storm. A calm centre can be hard to find. Equally, many people struggle to feel calm in daily moments. Parents struggling with frustration, customer service employees finding it hard to manage difficult customers, and dealing with daily hassles such as peak-hour traffic are just some examples of what can shift us from calm to stress. At these times it can help to turn to the wisdom of others. There is something calming about wise words. They tell us that people before us have shared our struggles and have looked for solutions. These words tell us that others have found a path when they were lost or an anchor in the storm of life. 1. “Feelings come and go like clouds in a windy sky. Conscious breathing is my anchor.” ~ Thich Nhat Han. If you follow my Instagram account @nadene_vanderlinden, you will know I am a big fan of Thich Nhat Hanh. I love to share his quotes because I find them helpful and poetic. This one reminds us to breathe to find our calm centre, and that all feelings are temporary.